When most people think of world class SCUBA diving, places like the Caribbean, Indonesia, the Maldives or Australia come to mind. 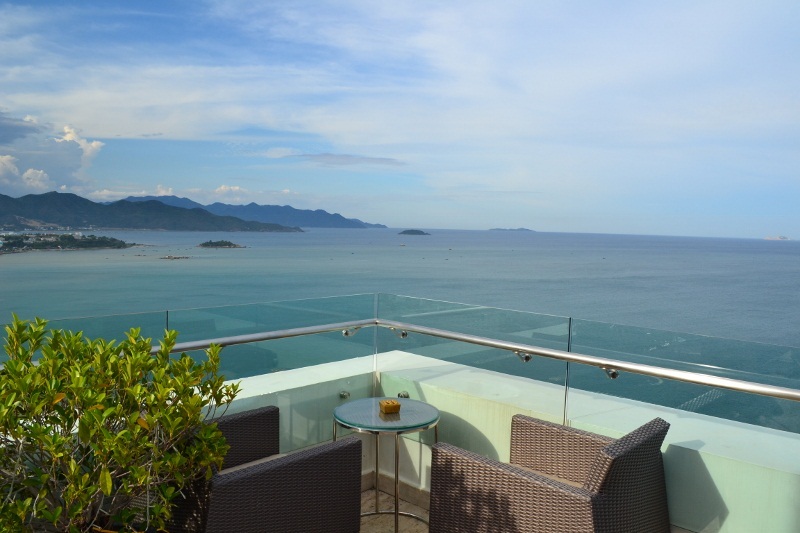 Vietnam doesn’t make many top 10 or even top 100 lists; however, we heard that Nha Trang offers the best diving in the country, so we set our course for this coastal city in central Vietnam. When we arrived in Nha Trang, we set up our home base in a small hotel just a block from the beach with dive shops all around. 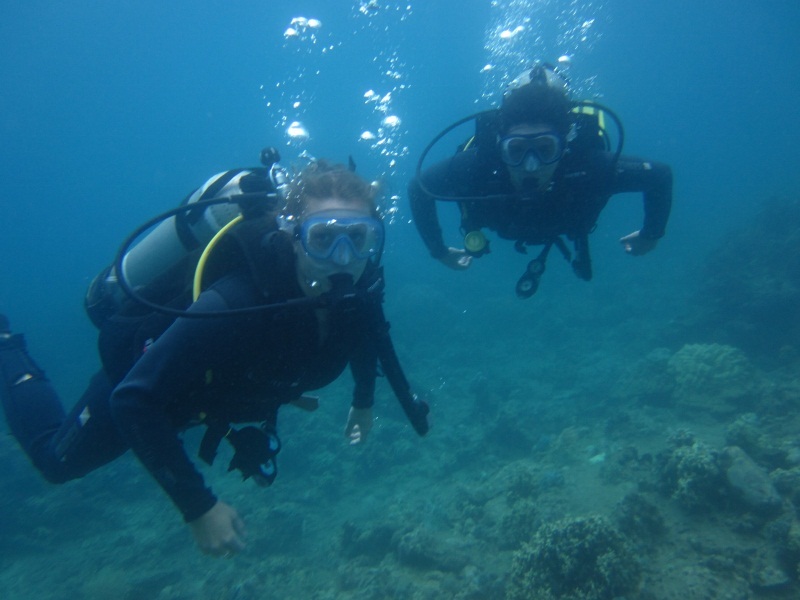 Becoming certified SCUBA divers was one of our many goals for this trip, as we both love outdoor sports and the ocean. After some searching, we found a shop we liked and decided to take the plunge. We signed up for a three-day, six-dive, SSI Open Water Diver certification course. It was one of the most enjoyable and rewarding activities of our RTW trip thus far! 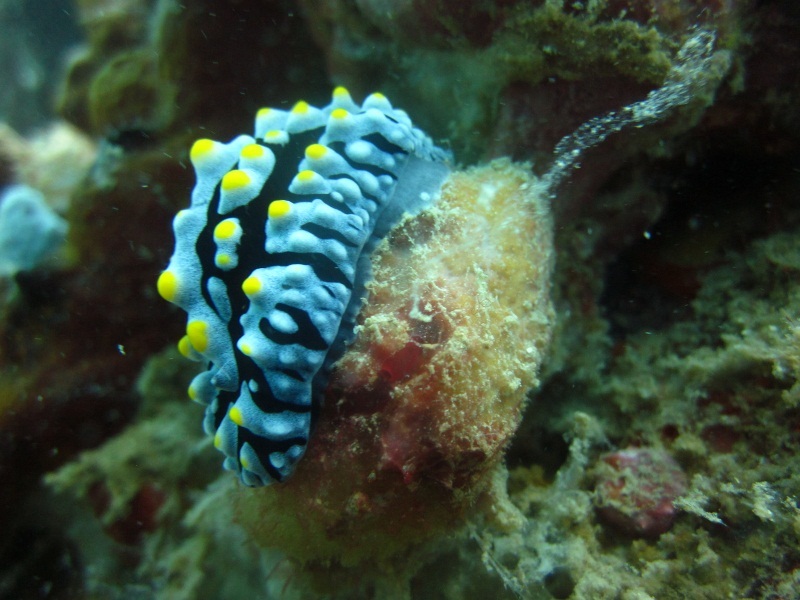 Most of the diving in the area takes place in the Mun Island Marine Park, which consists of more than a dozen different dive sites. The water in this area ranges quite a bit in depth making it an ideal place for new divers to learn underwater skills and become comfortable exploring the reef. Much of our first day was spent in shallower water (5-10 meters), where we learned the fundamentals before heading out on some “discovery dives” with our instructor, Kim. 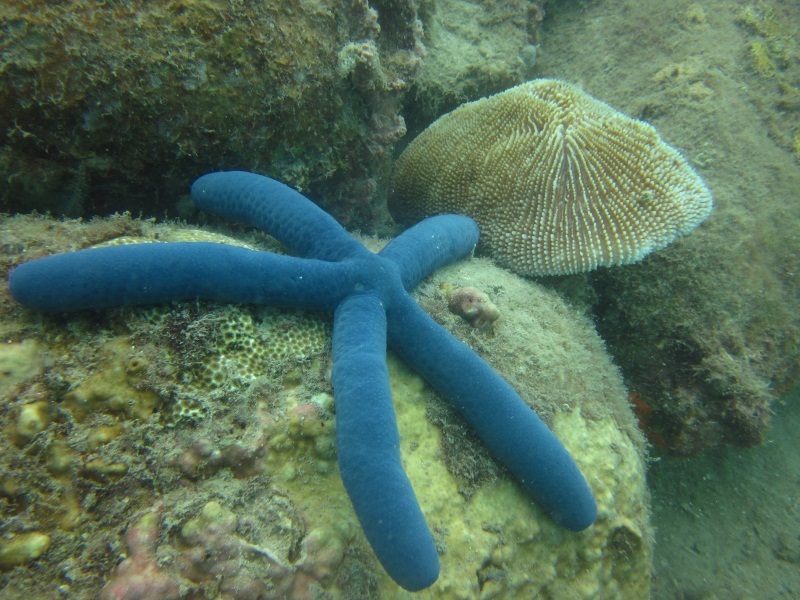 While Nha Trang isn’t the Great Barrier Reef or Blue Hole, the marine life was still impressive. 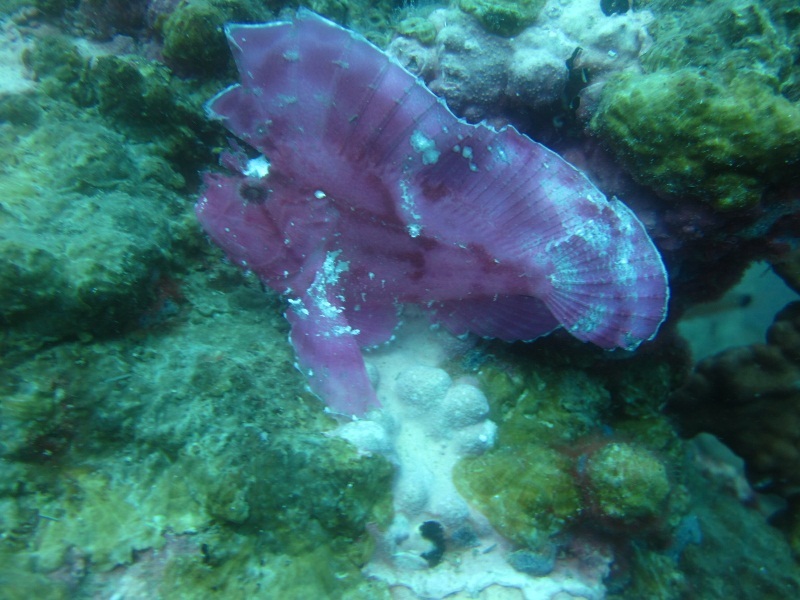 The good visibility combined with the diverse aquatic creates made it an amazing dive location. 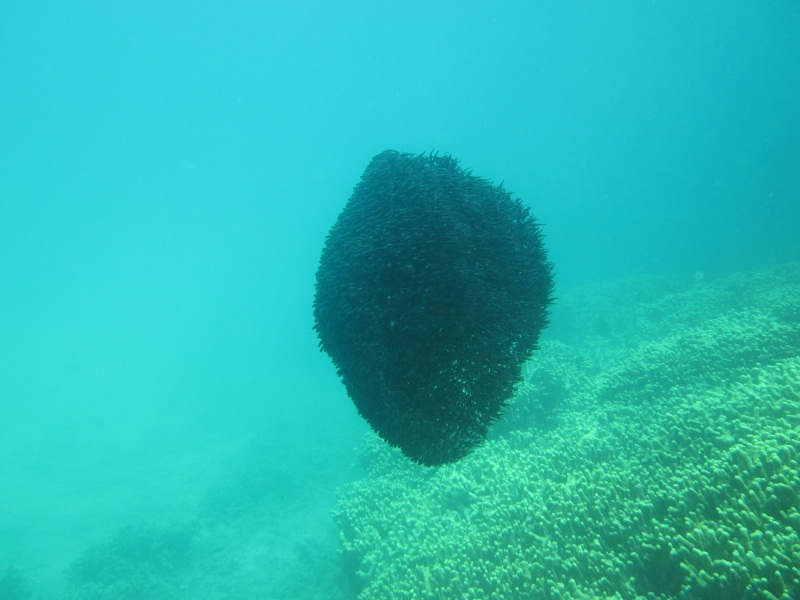 School of recently hatched catfish – they moved like a swarm of bees. Our next two days of diving included additional underwater skills training and diving at deeper depths (up to 18 meters). We even got to explore a few small caves! 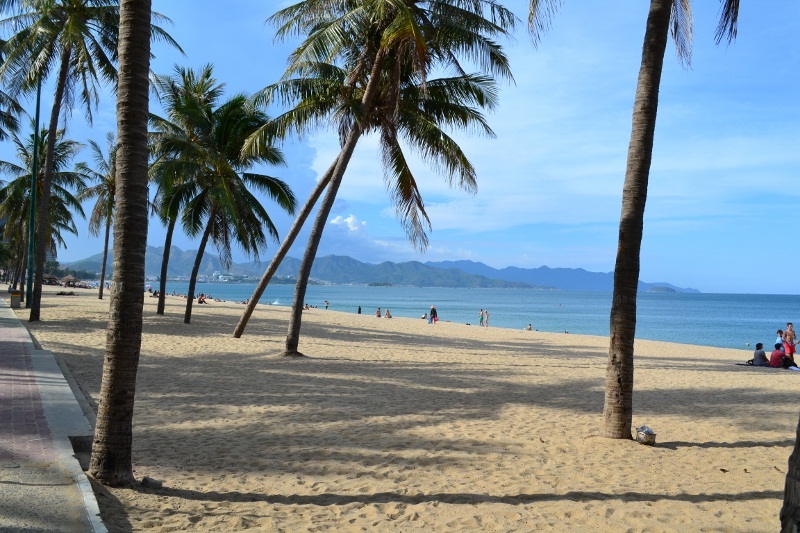 While the majority of our time in Nha Trang was dedicated to diving, we were able to enjoy the beach and town as well. The seafood was fresh and delicious, we enjoyed some tasty pale and golden ales from a local microbrewery, and walked the 6km stretch of beach from end to end. 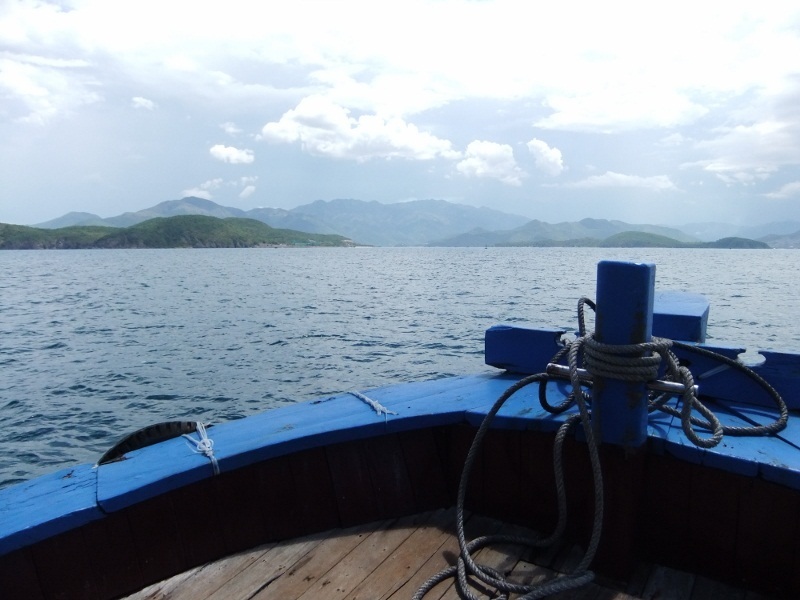 We had a blast getting SCUBA certified and hanging out in Nha Trang for five days. It is the perfect place to relax on the beach or head out on the water for snorkeling, diving, parasailing or just cruising around. Oddly enough, it was a bit of a downer to complete our SSI course because we wanted to keep diving, but we had to keep moving south on our road to Ho Chi Minh City. We are counting the days until we can put our new SCUBA skills to use again and can’t wait to explore the seas of SE Asia and Oceania. 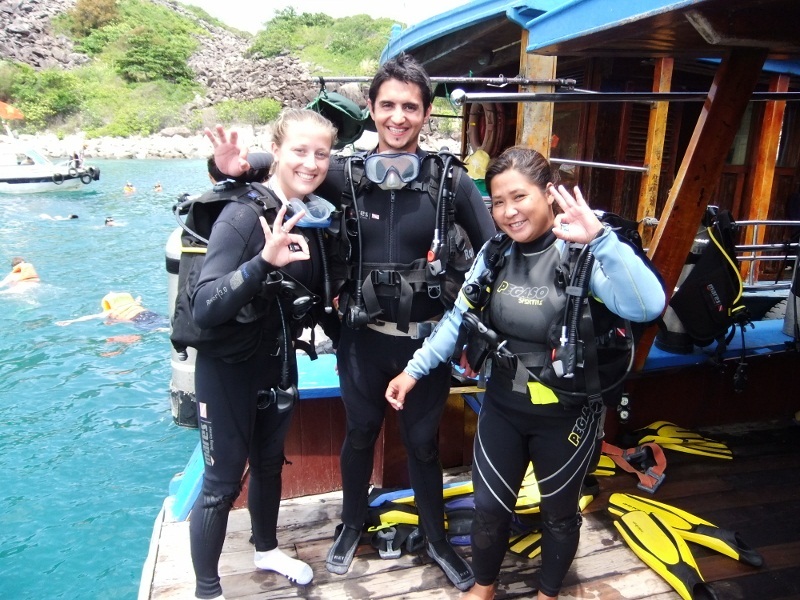 Hi Joyce & Tom – we are heading back into Thailand tomorrow and looking forward to another SCUBA dive in a new place! Hope all is well with you two and the family. I got behind on your posts and I just finished reading about the tigers and Elephants, and then your tubing day~~~What a trip, you’ll never forget that day. The water was a little too muddy for me. Wern’t you worried about snakes I would of been or parhana’s.